Moody County Abstract has served property owners in the county since 1906. It is and has been the only state recognized county land title agency in Moody County performing title searches, title commitments, abstracts and title insurance. Our exceptional policies are underwritten by two of the most highly regarded agencies: Dakota Homestead Title Insurance Company and Old Republic National Title Insurance Company. We are members of ALTA (American Land Title Association) and SDLTA (South Dakota Land Title Association). Our mission is to ensure that our clients receive their product in a timely manner and to maintain a great working relationship. We strive to exceed our customer’s expectations and ensure all their needs are met. To better serve the people of Moody County we have contracted with an affiliated title agency, Brookings County Title Company, to perform real estate closings in our spacious closing room located at our Flandreau location. 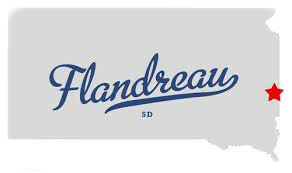 By performing the final closings in Flandreau we will make the buying and selling of real property in Moody County much more convenient for the involved parties. No matter what the product may be, title insurance or a closing, we will insure the ease, speed and accuracy in the entire process.